I don't know about you guys, but I love browsing the pages of glossy catalogs for inspiration. Whether it be home decor, fashion, food, it doesn't really matter there is just something about slowly flipping through the pages that I love so much more than clicking around online. A few weeks ago I received Crate & Barrel's July Best Buys catalog in the mail and was instantly drawn in by the colors on the cover. The blues and greens are colors I have all over the first floor of my house and I just love the serene feel, so of course I was quickly flipping through loving all the inspiration inside. There was a period where I felt like everything at Crate & Barrel had gone to modern for my tastes, but I am happy to report that I no longer think that is the case, for I fell in love with several things! 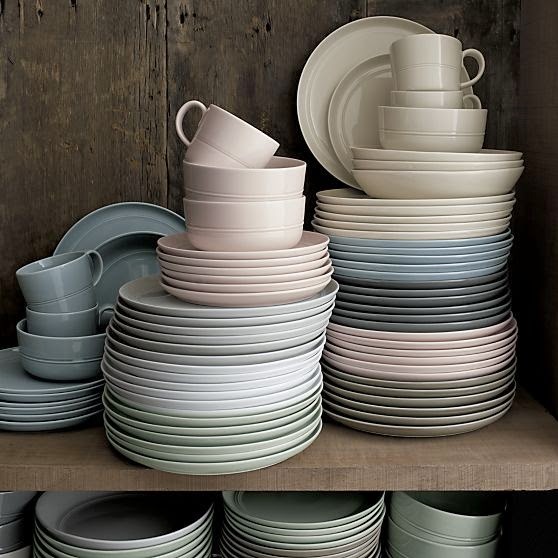 I'm loving all the colors of these beautiful dishes, it makes me want to replace all mine instantly. The blush has to be my favorite, followed by the light gray, of course. How awesome is that mint sideboard? 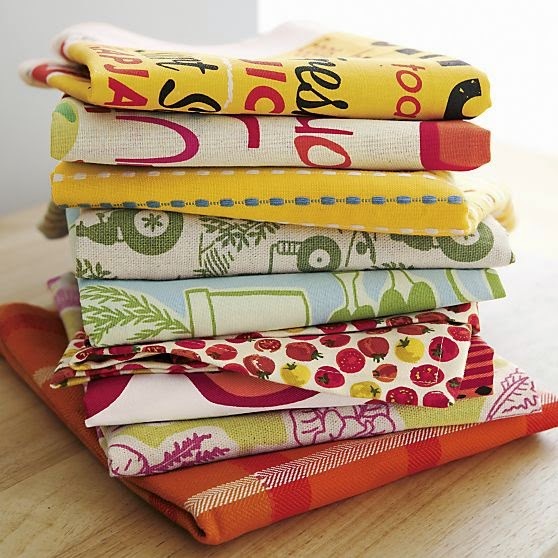 Crate & Barrel has the best printed dish towels, they have the best colors and design and you can usually snag them for just a few bucks. I could seriously take them all! It's such a good way to add a little extra punch to your kitchen, throw one of these over the handle of your stove or dishwasher and it's an instant pick me up! Speaking of being in the kitchen, they had all this great bake ware and kitchen supplies in these great blues and greens and yellows. My first reaction was, where was all this great stuff when I was putting together my kitchen?! It would all be so perfect for it! I fell hard for these bowls, something about the colors combined with the fact that they nest in each other, perfection! I actually have an older version of these exact bowl, but the colors resemble that of the rainbow. Don't get me wrong, I like them, but I love these! 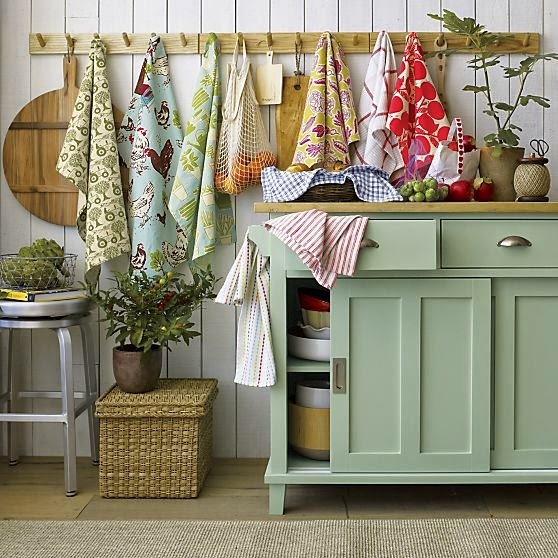 Now can you imagine cooking with all of these beautiful supplies in this kitchen? A gray island on wheels, I don't know if you could combine more of my favorite things. 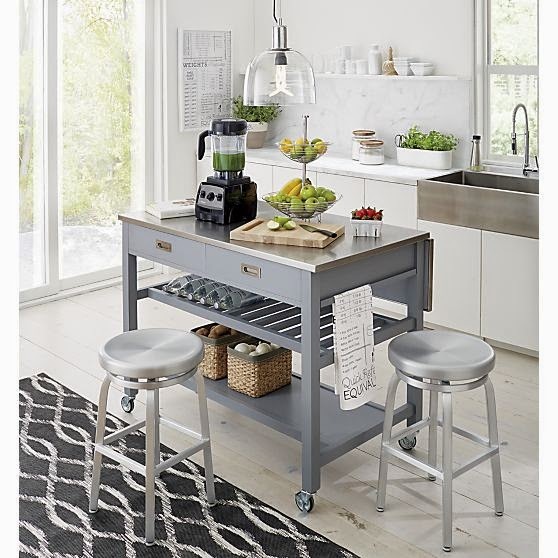 I am definitely going to need an island in my next kitchen! And once your done cooking you could sit down at this gorgeous dining nook to enjoy your creations. 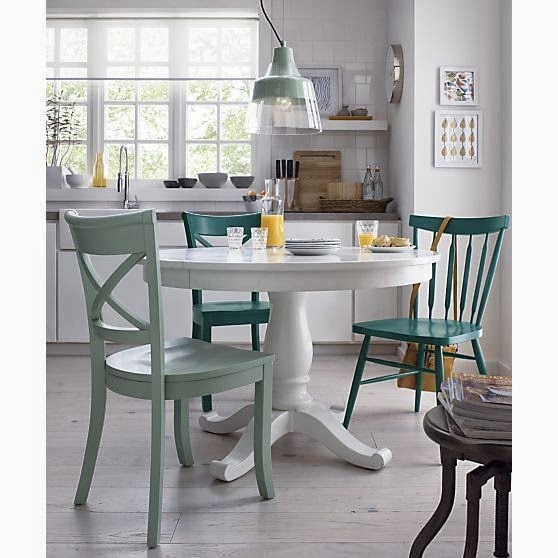 The mint, teal, and white together, such inspiration! I was so in love with everything in this catalog, too bad Christmas and my birthday are so far away! 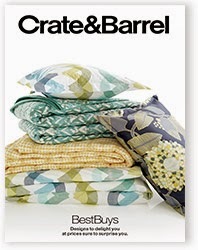 Some things at Crate & Barrel can be pretty pricey, but what I love about their Best Buy catalogs is that they are filled with tons of things that are just that, best buys. Great pieces and great values. I've rounded up a collection of what I would come home with today, easily, I would put them all in my house without a blink of an eye! Do you have a favorite catalog for inspiration? 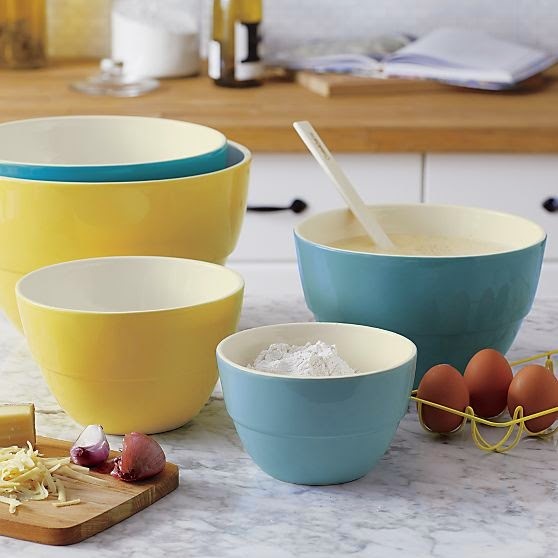 I love the mixing bowls and the casserole dishes!! Great finds! 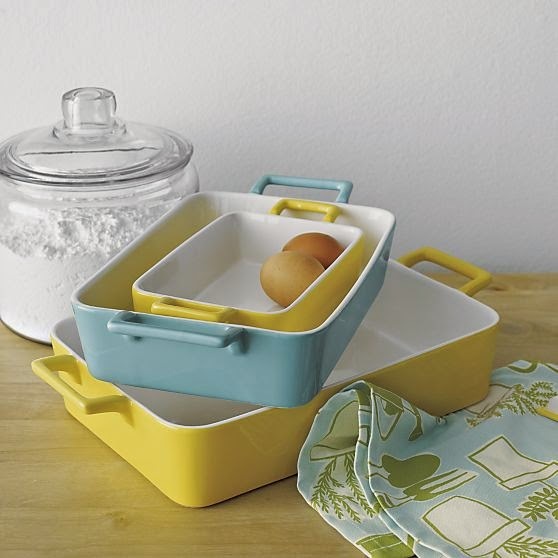 Love that bake ware and matching bowls! And those place card holders... amazing!! I just may try to DIY those! We registered at C&B for our wedding, and we couldn't be happier with everything that we've acquired from there (meaning, our entire kitchen). These are all great picks - I love the colors! Those place card holders would be great to DIY, that was just what I was thinking! I love there stuff too, but I'm obsessed with the colors this season! How did I miss this post yesterday? 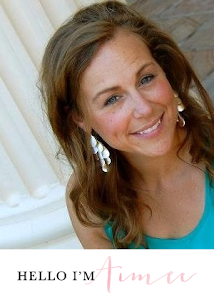 We still have lots of C&B gift cards from the wedding, so I'm glad you shared these finds! Definitely heading to the website now!